I’m just another ultra-cyclist. I became interested in distance cycling in 2004. Prior to that I had only participated in centuries. I had heard about the Furnace Creek 508 (508) and began thinking about entering. I started talking it over with a close friend of mine. She started telling everyone that I was doing the 508 and I said, wait a minute, I never said I was going to enter I’m just thinking about it. And she replied, go ahead and back out if you want to. So I was kind of trapped. If I was going to race the 508 then I needed to do events longer than the centuries I had been doing. The Central Coast Double Century (CCD) was my first double century (DC). I remember doing a group ride and the CCD organizer was there. In no uncertain terms he told me the CCD shouldn’t be my first DC, it was too difficult. His comment only fueled the fire. I completed the CCD and went on to complete three more DC’s and one triple century in 2004. 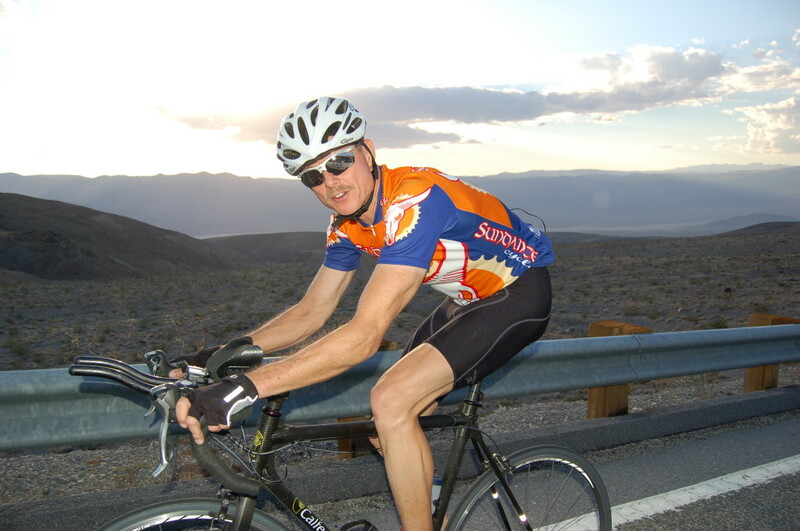 In 2004 I entered my first Furnace Creek 508. I didn’t know anything about ultra-racing and I read everything I could get my hands on. Reading about it never really prepares you for the actual race. In other words you don’t know what it’s like until you actually finish the race. I did know two things; that I would finish and that I would suffer. I just didn’t know how long it would take to finish and I didn’t know how much I would suffer. I finished seventh that year and I suffered more than I had ever suffered before on the bike. Thus began my ultra-cycling journey. When people hear about my distance cycling I’m often told I’m crazy. I say no, I’m not crazy just a little unwell.